This year is full of anticipated movie releases, many of them being either sequels or remakes of beloved films. From “Captain Marvel “to “Downtown Abbey to “Frozen 2,” there is something coming out for anyone to enjoy. These new movies mean new soundtracks, too, which I am very excited for. To help hype up and prepare for these new movies, here is a playlist previewing some of the movies coming out this year. Most of the songs on this playlist come from the original films that the new ones coming out this year are based on. 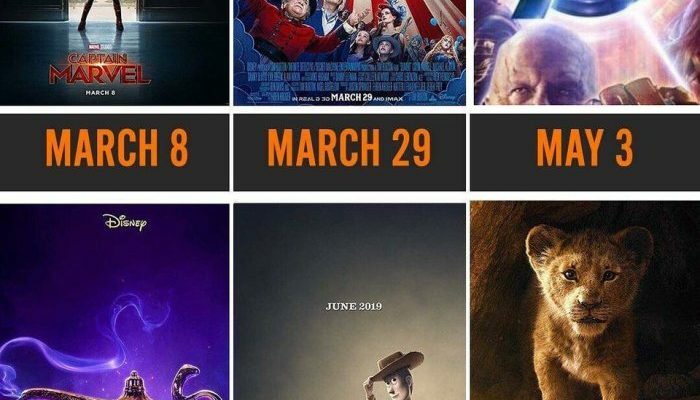 It’s sure to get you excited for some of the films coming out this year.